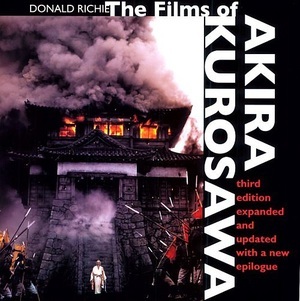 In an epilogue provided for his incomparable study of Akira Kurosawa (1910-1998), Donald Richie reflects on Kurosawa's life work of thirty feature films and describes his last, unfinished project, a film set in the Edo period to be called The Ocean Was Watching. Kurosawa remains unchallenged as one of the century's greatest film directors. Through his long and distinguished career he managed, like very few others in the teeth of a huge and relentless industry, to elevate each of his films to a distinctive level of art. His Rashomon—one of the best-remembered and most talked-of films in any language—was a revelation when it appeared in 1950 and did much to bring Japanese cinema to the world's attention. Kurosawa's films display an extraordinary breadth and an astonishing strength, from the philosophic and sexual complexity of Rashomon to the moral dedication of Ikiru, from the naked violence of Seven Samurai to the savage comedy of Yojimbo, from the terror-filled feudalism of Throne of Blood to the piercing wit of Sanjuro. Donald Richie is the Arts Critic for The Japan Times.